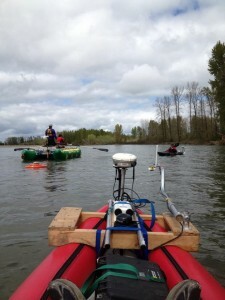 The River Research Group at the University of Oregon has strengths in river restoration, river environment monitoring and modeling, watershed hydrology and geomorphology, human-river interrelationships, and theoretical fluvial science. Some of our current and past projects are below. We have two main research goals. • To understand the degree to which the restoration projects have achieved their ecological goals, and to understand why or why not. 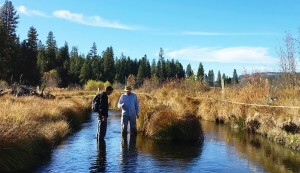 We are particularly interested in providing results that can inform the next generation of restoration work on the MFJD and other similar rivers. • To develop cost-effective methods for river monitoring using new technology such as LiDAR, tablet computers, UAVs, structure-from-motion photogrammetry, and high-resolution aerial imagery. We conduct field work for several weeks each summer. The overall monitoring effort is directed by the MFJD Intensively Monitored Watershed program. 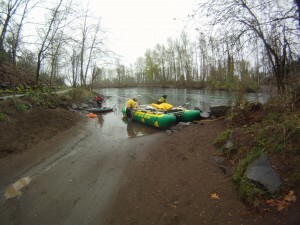 Funding has been provided by the Oregon Watershed Enhancement Board, NOAA, and the Confederated tribes of the Warm Springs Reservation. This research aims to gain a better understanding of the actors who can enact change on Flood Insurance Rate Maps (FIRMs) in the United States National Flood Insurance Programs (NFIP) and the relationship between socio-economic factors and successful changes. While all changes in updating FIRM flood zones must be approved by technical experts, proposed changes can be initiated by technical experts or property owners and other community members. But the relative influence of technical expert versus property owner-initiated change in the program is unknown. The research investigates this unknown by examining areas of change in the Special Flood Hazard Area (the area predicted to have a 1% chance of flooding annually) over different iterations of available FIRMs where changes can be attributed to either technical experts or property owners. These changes will then be compared to socio-economic data from US Census Data and assessed property value data to see if economic inequality is related to the ability to enact successful changes and how property values are influenced by changes in flood designation over time. The results of this research will provide theoretical contribution to who, why, and how these regulatory maps are updates, as well as a practical contribution to ongoing debates on FIRMs being “out of date” in their depiction of flood hazard (Lea [PhD dissertation]). This project was conducted in 2003-05. The overall goal was to understand the spatial pattern and controls of channel changes resulting from large floods (>25 yr recurrence interval), and to determine whether human response to historic floods, such as bank hardening, limited the ability of rivers to change in subsequent floods. Large floods on alluvial rivers produce geomorphic changes that create and renew fish habitat and help regenerate riparian vegetation. Floods renew spawning gravels, scour and deepen pools, and create side channels and other off-channel features. In addition, cottonwoods and other streamside trees important to stream ecology depend on floods for regeneration. 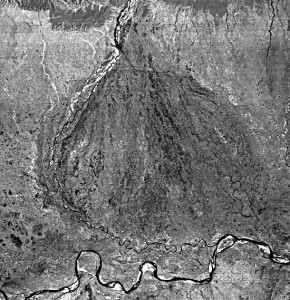 Using historical aerial photos, documentary evidence, and government agency records, we reconstructed and analyzed spatial patterns of geomorphic change on long continuous river reaches, constructing change maps in GIS. We also constructed GIS coverages of riverside flood protection structures — levees, revetments, and other human-built structures that restrict channel change. 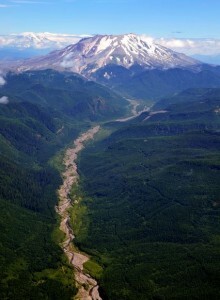 The study rivers were the Umatilla River and Applegate River in Oregon.